Start Transforming Your Home Today! Above & Beyond Exterior Remodelers are happy to provide the community of Westfield New Jersey with their range of exterior remodeling services. Westfield, a beautiful town with around 30,000 residents has beautiful homes throughout. Located only miles away from our headquarters, our craftsman and skilled team loves helping families here. Whether you live near Tamaques Reservation, Brightwood Park or downtown, we are here to ensure you get the professional remodeling services that every homeowner deserves. If you are in need of full roof replacements or repairs, Above & Beyond is your trusted team within both the residential and commercial industries. We ensure each homeowner gets the best results out there. We know they do because we are certified by the countries leading manufacturers, 5 star customer testimonials rating across review platforms, our attention to detail and true professionalism throughout the whole process. The roof on your home will only last as long as you have a good team working on it. Ensure you aren’t contacting us in a few years for repairs and make sure you get the roofing help you deserve the first time around! We’ll help you throughout the whole process to select the perfect roofing styles, manufacturer and color to fit your homes style. 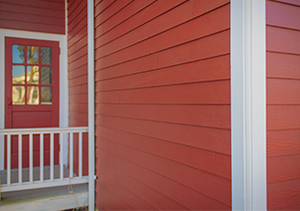 Nothing can boost the appearance of a home quite like siding can. At Above & Beyond we provide homeowners with James Hardie siding solutions that will transform your home like no other. With so many styles available such as plank, panel, batten & shingle, James Hardie is so great because it can replicate any appearance you wish. Lets get started! Siding is the biggest asset on your home, and our team will help you enhance your home’s curb appeal, increase its energy efficiency, make your personal style and leave you with a house that will be protected and beautiful for a very long time! Our certified contractors are looking forward to hearing from you. For further information about our services in Westfield NJ, please feel free to reach out. We can be contacted over the phone at 908.588.9575 or through our online contact form.